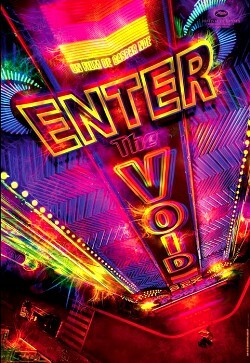 If you’ve never died, done hallucinogenic drugs, had an out of body experience, or been in a serious car crash, you may have trouble connecting with the film “Enter the Void”. I’ve done pretty much all of those things, so this may be one of my favorite films in a decade. Including a simple recipe for self-destruction: one part MPAA, one part RIAA, one part Washington, and three parts greed and ignorance. I’m sorry movie and music industries, that you’re so goddamn stupid that since you can’t figure out how to make money with one of the greatest technological achievements in human history, you want to destroy it. No really. I feel bad that the mostly white, fatass males that run a multi-billion dollar industry that pays most of the hardworking working people struggling to get into it a pittance in comparison to their own incomes can no longer lounge in ease by the pool with a bevy of hookers. I’m also sorry that after buying Led Zeppelin IV on vinyl, cassette, and compact disc, that I copied it a few times for friends and personal use, and I’m sorry that after buying the “theatrical release” and multiple “director’s cuts” of Blade Runner on VHS and DVD, a friend gave me a copy of the Blu Ray version. Hang me. I’m sorry that when confronted with the terrible loss of revenue you’ve created with your own fucktardedness, the only solution you see is to grease the already slippery palms of Washington and lose even MORE money on doomed strategies. Because you know what? 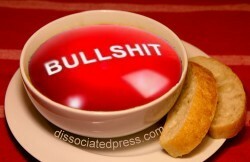 This little soup you’ve been cooking, this “SOPA DE MIERDA” as I like to call it, is probably going to be the last dish of crap you try to serve us. You see, there’s this OTHER recipe for entertainment we can ingest, and it’s been simmering nicely for a while now. It’s called INDEPENDENTLY PRODUCED MEDIA. We have the same tools you have now, and aren’t as greedy as you are. We can make more money than you ever paid us DOING IT OURSELVES. I mean, aside from all the great indy bands and films that have sprung up triumphantly in the wreckage of your business model, there’s USER GENERATED CONTENT. Let’s face it. Who wouldn’t rather watch funny cat videos for a hundred twenty seconds than watch crappy retreads like Cars 2 , The Hangover 2 , and a Conan the Barbarian remake for a hundred twenty MINUTES? Watching most of the movies your hallowed industry churns out these days is like a weirdly recursive cinematic bulimia, where one is forced to eat and re-eat the same meal over and over. I’m sorry, movie and music industries, when you’ve completed your grandiose acts of self-destruction, I won’t miss you. Is It Wrong To Pee On Dead People? Call me old fashioned, but I think this debate was framed all wrong. contributed to this despicable act. 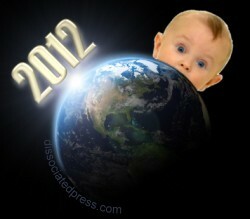 If we’re all expecting the end of the world as we know it, we might as well plan the new one.